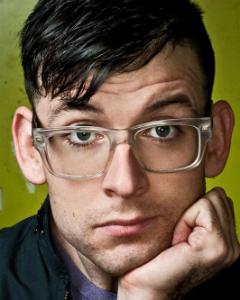 Moshe Kasher. Comedian. Child Genius. Jew. Jew Comedian. OBGYN. Pleasure center. Good tipper. Guiding light. Beefcake. He lives alone in LA. Featured on: NBC’s Late Night With Jimmy Fallon, Comedy Central’s “Live at Gotham”, E!’s “Chelsea Lately”, The Independent Film Channel, The Montreal “Just For Laughs” festival(Best of Fest), Jamie Foxx’s Laffapalooza(Best of Fest), Comedyfest: Vancouver, Bridgetown Comedy Festival, SF Sketchfest, Aspen Rooftop Comedy Festival(Best of Fest). Many Fests, many bests. “Hunk” – East bay Express.